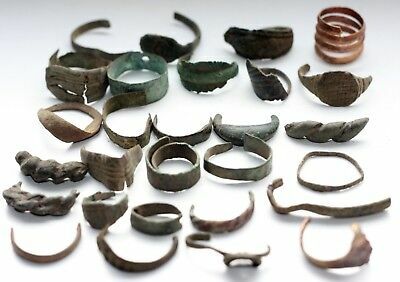 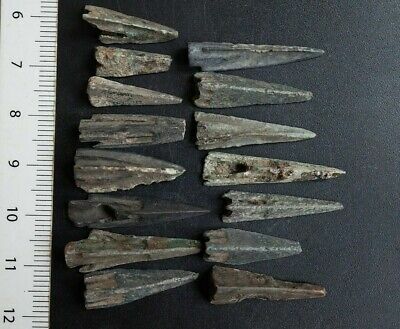 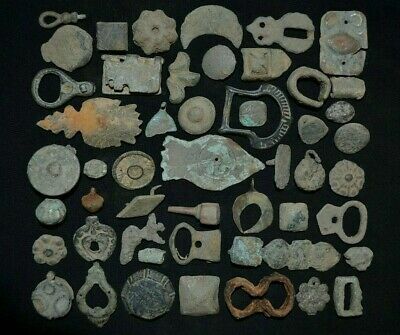 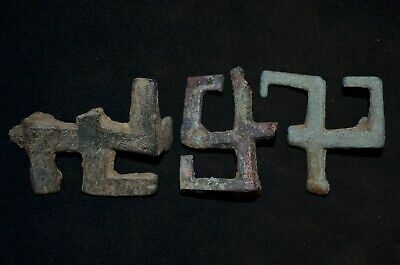 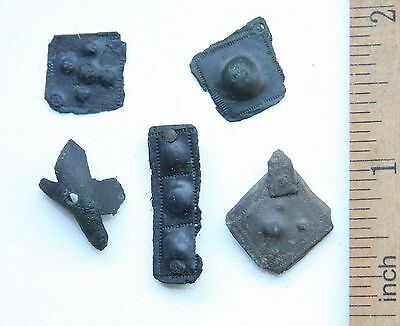 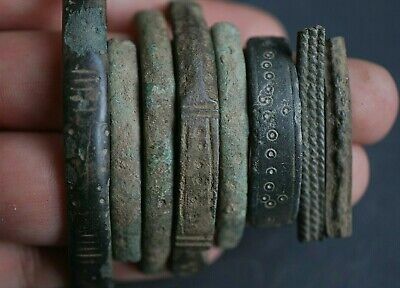 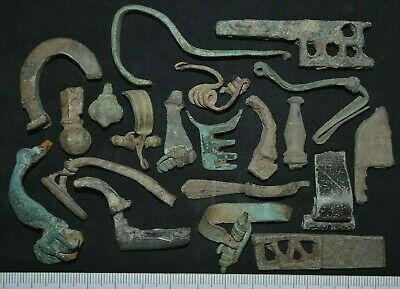 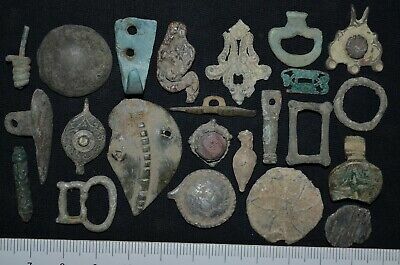 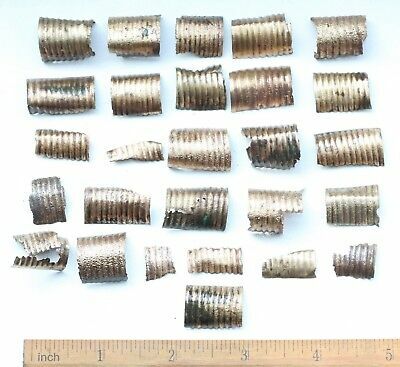 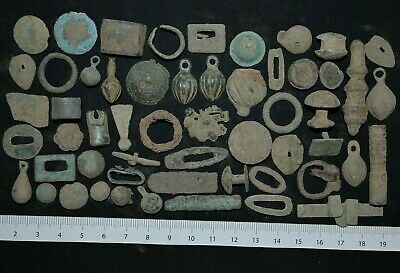 Group of 20 Ancient Roman Bronze Detector finds. 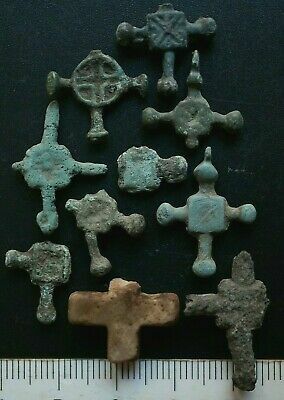 Fibulas & others, c 250-350 Ad. 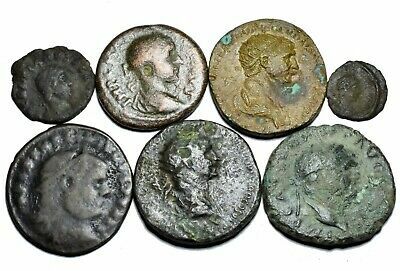 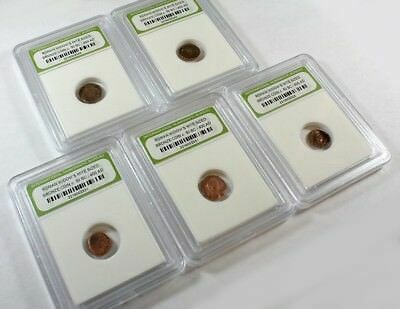 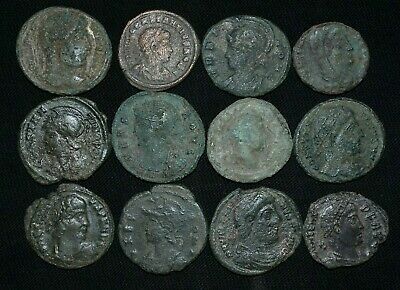 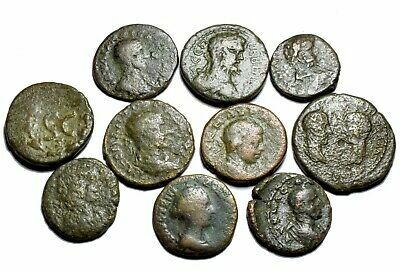 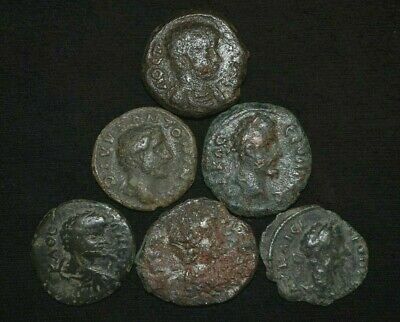 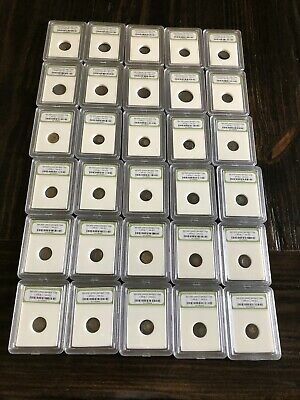 Group of 16 Ancient Roman Bronze coins. 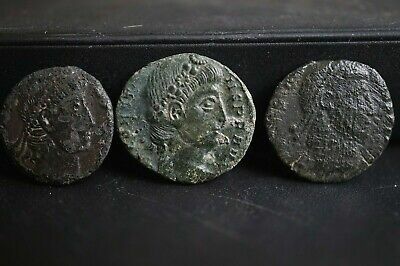 Roman Imperial, c 235-476 Ad. 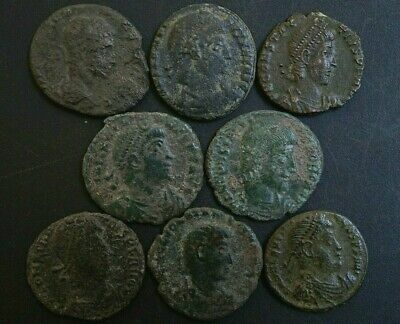 Cleaned.